The French know better than anyone that an omelette doesn’t need to be the relegated to breakfast. Perfect as a light brunch or lunch dish, it also makes a decadent dinner, perhaps on a Sunday night. If you have a larger party, heat and use two non-stick pans and make two omelettes at a time. Otherwise you can make a giant omelette, top with all the trimmings and serve to the centre of the table and slice. If the thought of making omelettes seems daunting, consider making a simple scramble or baked frittata (you can bake it in a lined cake tin) then top with the miso crab and other garnishes. Melt a little butter in a saucepan with the shiro miso and whisk briskly to combine. Take off the heat and whisk in the fish sauce and lime juice. Set aside. To prepare the omelette, heat butter and oil in a non-stick frypan. Whisk the eggs in a bowl and ladle in a quarter of the egg mixture. Do not season at this stage. While the omelette is setting on a low heat, add the crab meat to the miso mix and stir gently. Place the saucepan on a low heat just to warm through. Fold omelette over upon itself and slide on to the serving plate. Repeat three more times. 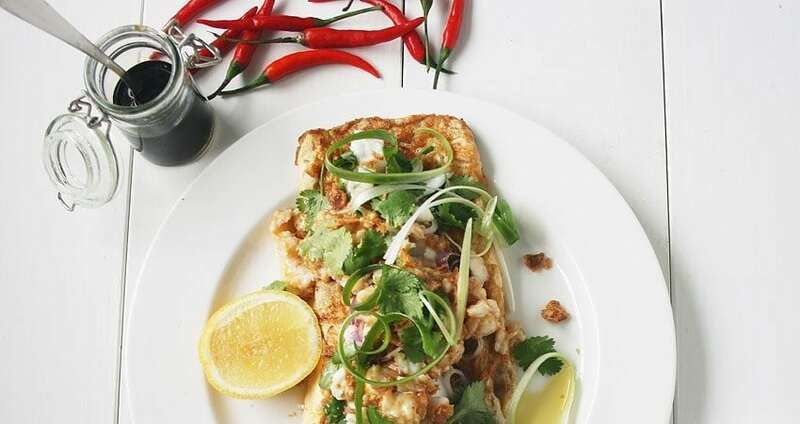 Spoon the miso crab on top of each omelette then top with curly green onions, coriander and chilli. Sprinkle with sea salt, sesame seeds and fried onions. Serve immediately. 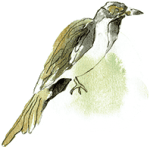 Salt is a drawing agent so when you make an egg slurry (to make an omelette or scrambled eggs never salt the mixture as it will begin to draw out liquid and become watery once cooked.